We love to use glass jars instead of plastic cups, but there is always the worry that they will end up broken on the ground. 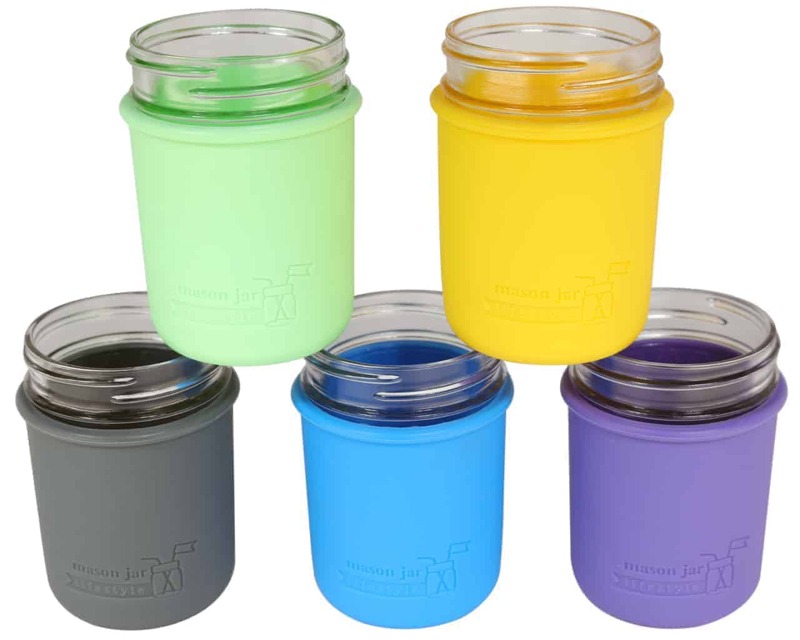 These silicone sleeves for *wide mouth* pint (16oz) jars add grip and padding, and they also insulate. Wide mouth pint jars have straight sides. We have redesigned these sleeves to eliminate the inside groove that runs around the top. The older style clips onto the glass bead or rim, just under the jar threading. This makes them a little more secure once on, but harder to get on and off. The new style is tight on current production Ball jars but a little loose on Kerr jars. I drink my coffee from a wide mouth pint jar every morning. My silicone sleeve keeps my hands safe, and if I need to leave the house I screw on a wide mouth silicone drinking lid.